Since June 15, 2014, the jets of Pakistan Air Force have bombed militants’ hideouts in North Waziristan Agency, and killed thousands of insurgents including foreign militants, while Pakistan Army has killed several terrorists through ground offensive and many of them surrendered before the Army. Thus, these forces destroyed their strongholds, demolishing tunnels and factories producing IED (Explosives), while drying the sources of their funds and sinking their public support. 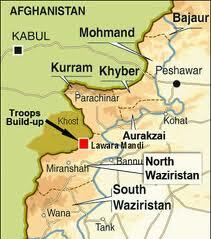 Pakistan’s Armed Forces have broken the backbone of the militants and their network. 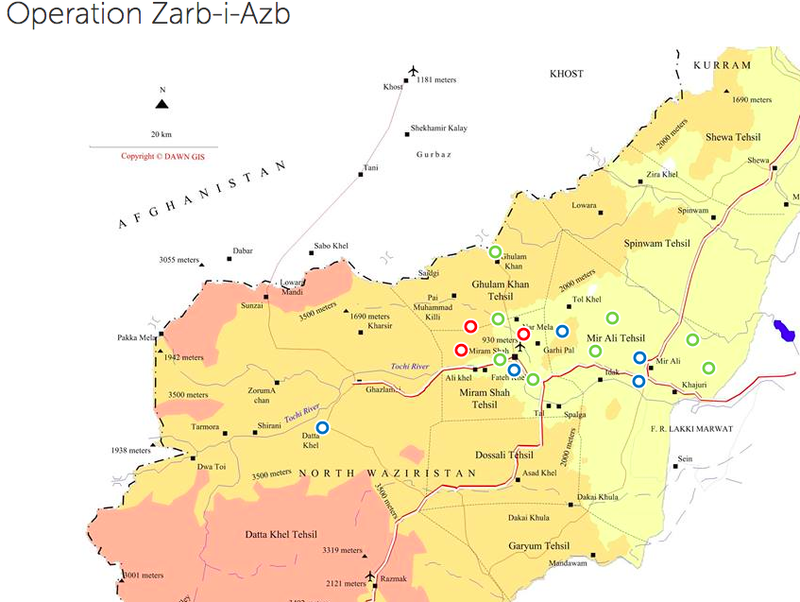 However, the operation Zarb-e-Azb in tribal areas is nearing its completion, witnessing huge successes of Pakistan Army which has offered commendable sacrifices and cleared the area off terrorists. Except some occasional blow, the faces of tribal people are gleaming with resolve, determination and commitment to weed out terrorists from their homeland. Undoubtedly, the ferocious fighting by the sons of soil to liberate people of families of the Federally Administered Tribal Areas (FATA) from the terrorists, resulted in one of the biggest internal displacement in the history of Pakistan. It has caused huge socio-politico-economic and security implications for the brave people of tribal areas. These people faced the hardships of displacement, and their plight was aired by various media segments. Opinion makers felt the pain and strived to sensitize the government and public regarding their socio-economic responsibilities to look after their basic human needs. 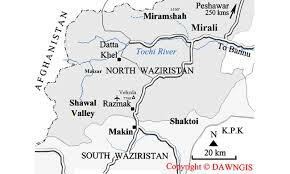 Since the military operations of 2008, there has been frequent dislocation of populations from seven agencies of FATA. Some persons were fleeing due to the threats and attacks by the terrorists, but most of them left the areas for their own safety, prior to military operations to free FATA and Pakistan from the militants. They made their temporary homes in camps, made for the Internally Displaced Persons (IDPs), with host families, or in hired accommodation in places like Tank, DI Khan, Bannu and Peshawar. Many of them have since long returned home following stabilization of their areas, but residual caseloads remained in 2014, and the number increased. The latest wave of dislocation from North Waziristan Agency brought the total FATA-displaced-population up to around 2 million people. This is a massive dislocation of persons for any country to handle. Assisting them during displacement has required substantial funding and initiatives to ensure their shelter and other needs, which have been fulfilled. As stability and peace is restored in FATA, Pakistan Army is working with the government and other stakeholders to facilitate the return of the IDPs, and the reconstruction and rehabilitation of the affected regions. Gen. Raheel Sharif has repeatedly stated that the top priority is the early and dignified return of the IDPs, and he has instructed all concerned officials to prepare for their phased return. In this regard, the Pakistan Government has issued directions to the related ministries and departments to finalize the plans regarding funds, the returns of the IDPs, reconstruction and rehabilitation of FATA. While, it is not enough for the rehabilitation of the massive populations of the tribal areas, which require huge funds, as now, it is the turn of the tribal people to celebrate their return to their areas. But, destroyed villages, shattered houses and ruined markets can not be welcoming sites. Where they will dwell and from where they will draw the livelihood for their families? Who is responsible for their rehabilitation? Have any efforts been made to raise funds? These are some of the questions haunting the minds of everyone. Time is ticking fast; Government of Pakistan, people and international community have to rise to the challenge before it is too late. It is every ones responsibility to contribute towards their quickest possible rehabilitation, so that they consider themselves part of the society. Any negligence at this stage would not only generate despondency among the tribal people of FATA, but would leave space for the militancy to re-surface. Although, Pak Army has ever conducted a large-scale reconstruction and rehabilitation programme in FATA, yet it is not easy to resettle 2 million people. It requires detailed and insightful planning, political will, extensive and complex coordination and logistics, and substantial funding to support the initiatives to help families rebuild their homes, restock their livestock, plant crops, restart their livelihoods and to mend the fragile economy of this extremely disadvantaged region. War against terrorism will remain incomplete, unless all segments of society and politicians try to win the hearts and minds of the tribal people by keeping in minds various requirements and steps which are essential for the rehabilitation of FATA. Firstly, the vision of a peaceful, prosperous and developed FATA is necessary to foil future plans of the terrorists. Secondly, whole nation, particularly the political leadership should come forward to provide financial resources for rehabilitation. Thirdly, education for everyone and grass root level involvement of the people in socio-political activities may be ensured/planned. Fourthly, efforts at all levels may be undertaken to re-construct physical structures, maintain law and order, activate economy and inculcate cohesion to ensure sustainable rehabilitation of people of FATA. Fifthly, instead of portraying negative aspects of rehabilitation, media should come forward to arrange shows for fund-raising and proposing viable solutions for the issues prevailing in FATA. Nevertheless, rehabilitation of FATA is still a bigger challenge. Therefore, just like the unity, shown by the whole nation during war against terrorism by supporting the Zarb-e-Azb, needs to display the same unity through practical assistance in rehabilitation of the tribal areas. Let us celebrate the forthcoming 14th August 2015 with national commitment to endeavour for rehabilitation of FATA people.